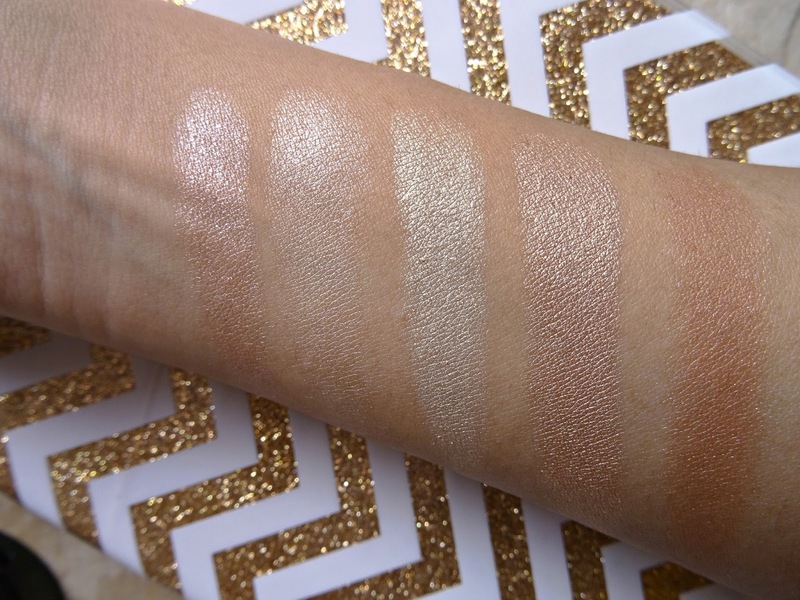 Now that it's beginning to feel a bit more like summer, I'm sure many of you are looking for some new highlighters to try. 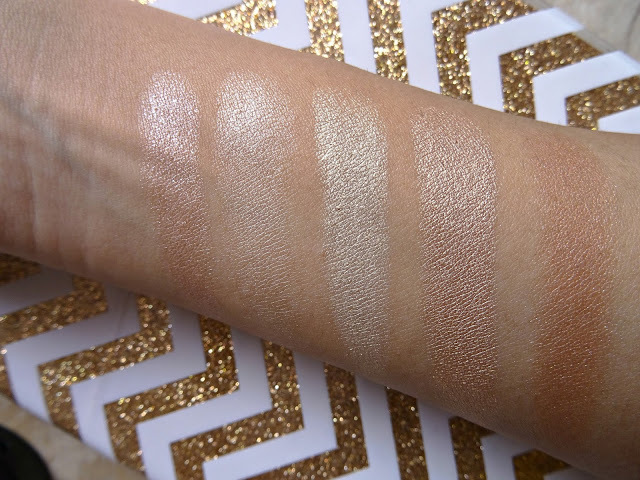 I for one, personally wear highlighters all year round, but I find in the summer I want to try out more cream based highlighters for that extra dewyness. I thought it would be nice to share with you my cream highlighter collection. 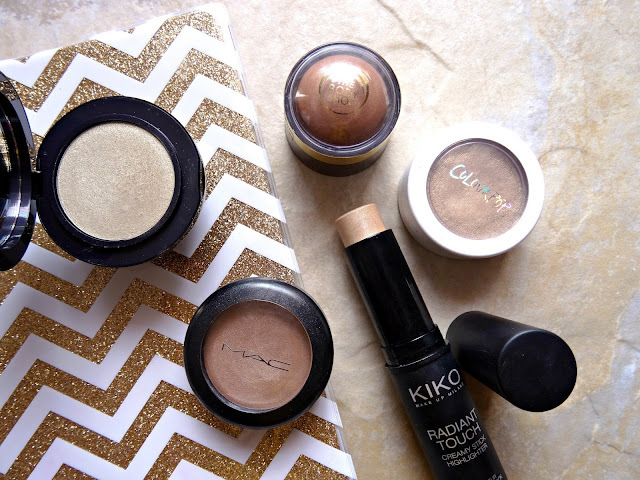 As you may remember in my most recent KIKO haul you may remember that I picked up this highlighter and was so mesmerised by the packaging. It's KIKO's Cream Radiance Highlighter and it's in such an adorable spherical shape, I'm interested to see how much product is actually in it. But I like this highlighter a lot. It has an almost green/yellow tone to it, which surprisingly is actually really nice. I love that this highlighter isn't chunky but still really pigmented. I bought this on a random splurge one day while I was in MAC getting my foundation tested. 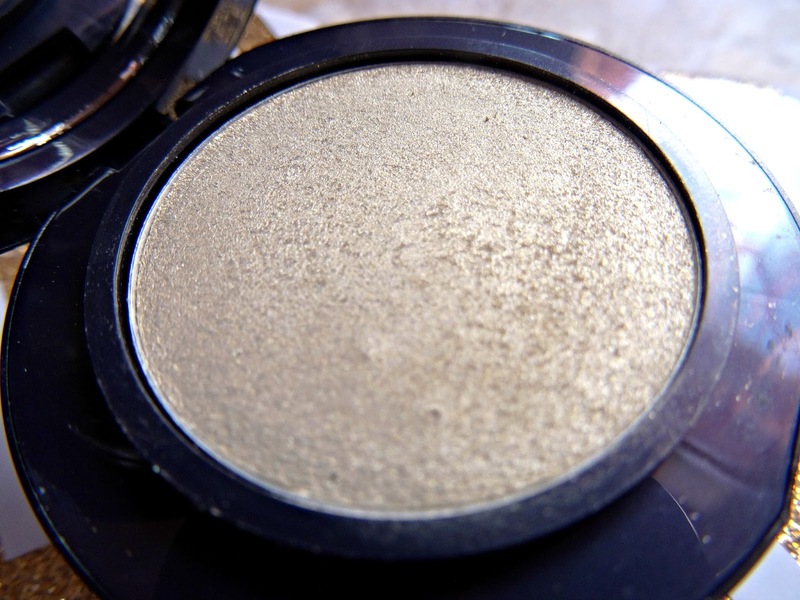 It's MAC's Cream Colour Base shadow in Shell. I don't really reach for it that often, but after swatching it for this post, I think I should wear it more often. Out of all of the cream highlighters that I own, this is definitely the most pink-based one and I don't typically go for a shade like that. But I think it gives a really nice glow and maybe with a cool toned blush it would look really nice. The texture of this is nice now, but in the winter when it's colder, it feels a little dry which makes it harder to use/blend. Out of all the cream products, this is probably my least favourite. 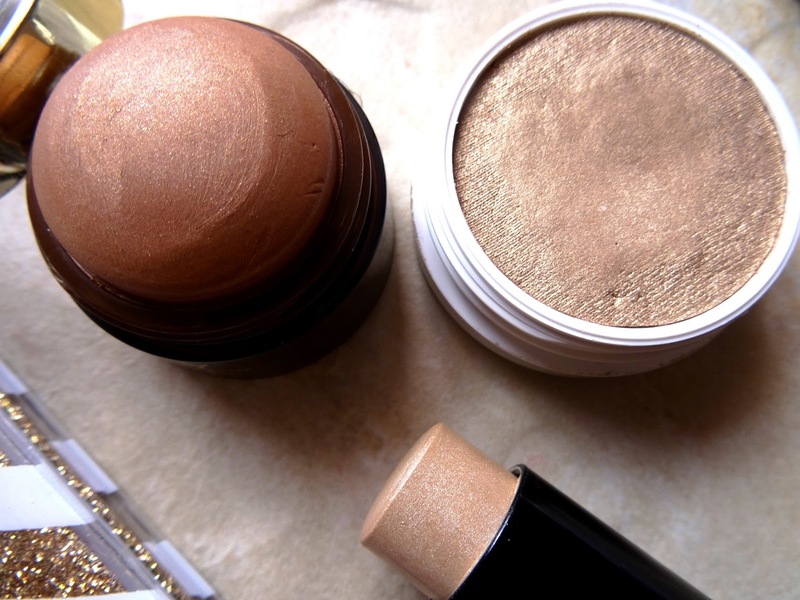 The Body Shop Honey Bronze Highlighting Dome is definitely more of a bronzer shade and I use it as a kind of blush topper, just to add a little sheen. I find this product a bit awkward to use, as I find it's easiest to use by swiping the whole thing on your cheek. But it's not the easiest thing to blend. 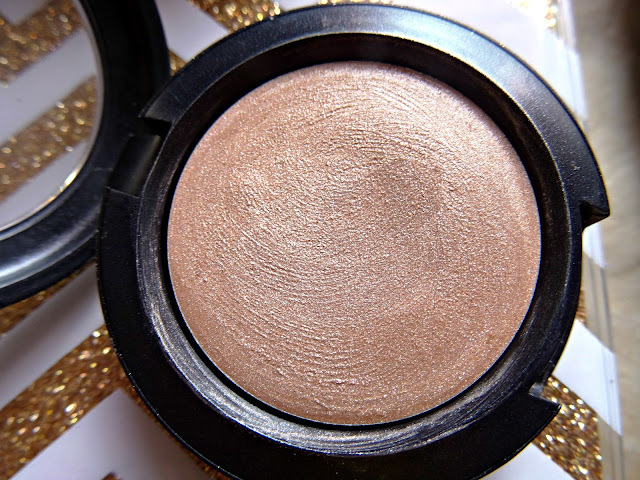 But I really do love the colour this gives, it's different to your typical highlighter shades, but perfect for those summer days where you just want minimal make-up and a nice bronzed glow. I would probably advice you to warm it up with your fingertips first and then apply it on your cheeks to make it easier to blend. 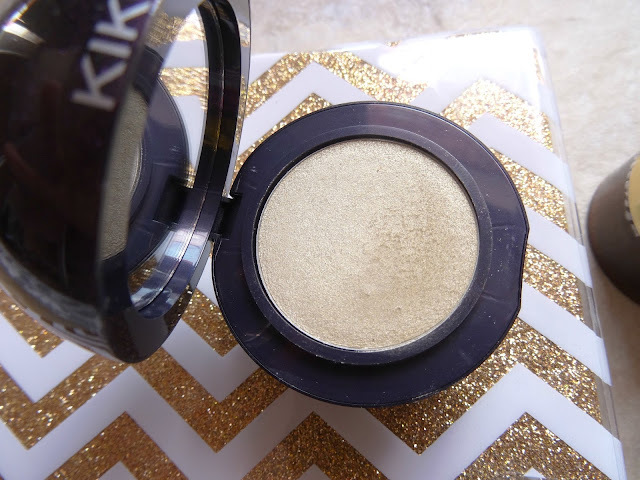 Last but not least, another KIKO highlighter. The Radiant Touch Creamy Stick Highlighter in the shade Gold is in stick form and it's almost a warm champagne like colour. This is not as smooth in texture as the smooth radiance highlighter by KIKO mentioned above, but that's to be expected as it's in a stick form. 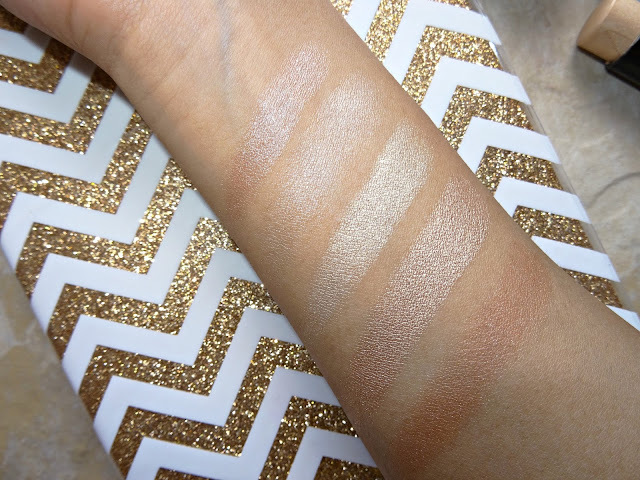 I like that you don't need any tools to apply this, simply pop it on from the tube and you're good to go - ok, you need to blend it out slightly, but it's as travel-friendly as you're going to get with a cream highlighter! This is probably the most muted cream highlighter that I own so it would be good for those who want something subtle.